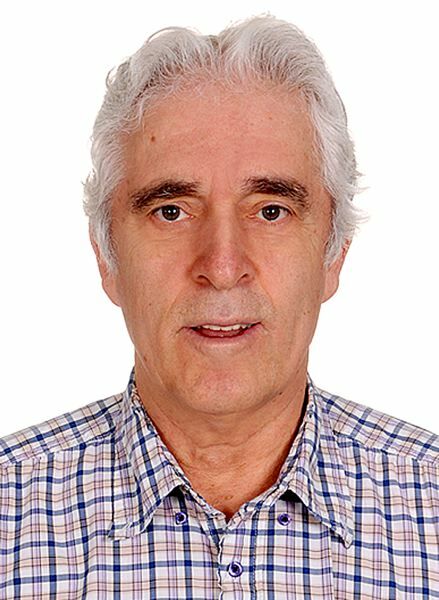 Aziz Inan is chairman and professor teaching in the electrical engineering program of the Donald P. Shiley School of Engineering at University of Portland. Oprah Gail Winfrey is an American media executive, talk show host, actor and philanthropist best known for her long-running talk show "The Oprah Winfrey Show." Called "the Queen of All Media," Winfrey has been ranked by many as the most influential women in the world. 1. Winfrey's 65th birthday expressed as 01/29/2019 is numerically special because its left and right halves, namely 0129 and 2019, contain the same digits 0, 1, 2, and 9, in different order. 2. Additionally, if 2019 is split into its alternating digits as 21 and 09, 21 times the reverse of 09, namely 90, equals the difference of 0129 and 2019. 3. Further, twice 65 minus 1 yields 0129, Winfrey's birth date, Jan. 29. 4. Moreover, the difference of the digits of 65 equals 1, the month number of Winfrey's birthday, and their product minus 1 yields 29, her birthday's day number. 5. Also, the sum of the squares of the digits of 65 result in 61 and 61 is the 18th prime number and 18 equals the product of the digits of 1/29, the day Winfrey was born. Also, the prime factors of 65, namely 5 and 13, add up to 18. Note also that the reverse of 61, namely 16, corresponds to the number of letters in Oprah Gail Winfrey. 6. The reverse of 1/29, namely 921, equals 3 times 307 and 3 and 307 are the 2nd and 63rd prime numbers. Interestingly, the sum of 2 and 63 equals 65. Furthermore, 2 times 63 equals 126, the reverse of 126 is 621, the 621st prime number is 4591, and the reverse of 4591 is 1954, the year Winfrey was born. 7. If numbers 1 to 26 are assigned to the letters of the English alphabet, the sum of the numbers assigned to the letters of Winfrey's middle name, Gail, equals 29, the day number of Winfrey's birthday. 8. Furthermore, the sum of the numbers assigned to the letters of Oprah equals 58 and 58 is twice 29. 9. Additionally, the sum of the numbers assigned to the letters of Winfrey equals 100 and the reverse of 100, namely 1, is the month number of Winfrey's birthday. 10. The numbers assigned to the letters of "Gail Winfrey" add up to 129, the day Oprah was born (1/29). 11. Winfrey's birth date January 29 expressed in the day/month date format as 29/1 or simply as 291 equals 3 times 97 and the sum of these two prime numbers equals 100 (Winfrey). 12. Lastly, Winfrey's birth year, 1954, equals 2 times 977 and these two prime numbers add up to 979. Interestingly, 979 equals 11 times 89 and 11 plus 89 equals 100 too.